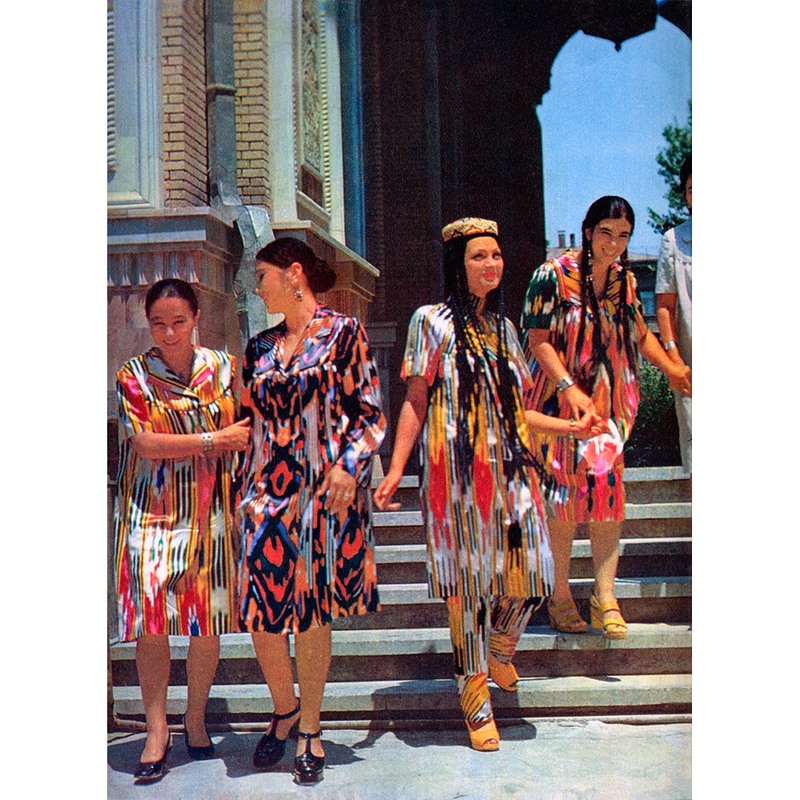 Women’s and girls’ dresses called “kuylak” (Uzbek) or “kurta” (Tajik) took several forms. 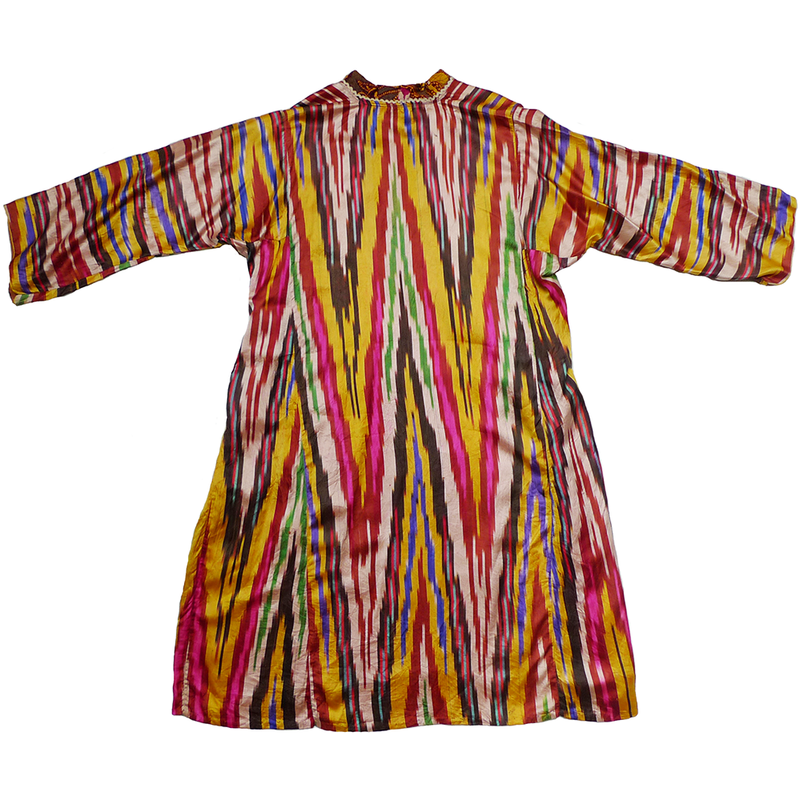 Smock-like ones with spread collars became popular as everyday wear during the early decades of the Soviet era. 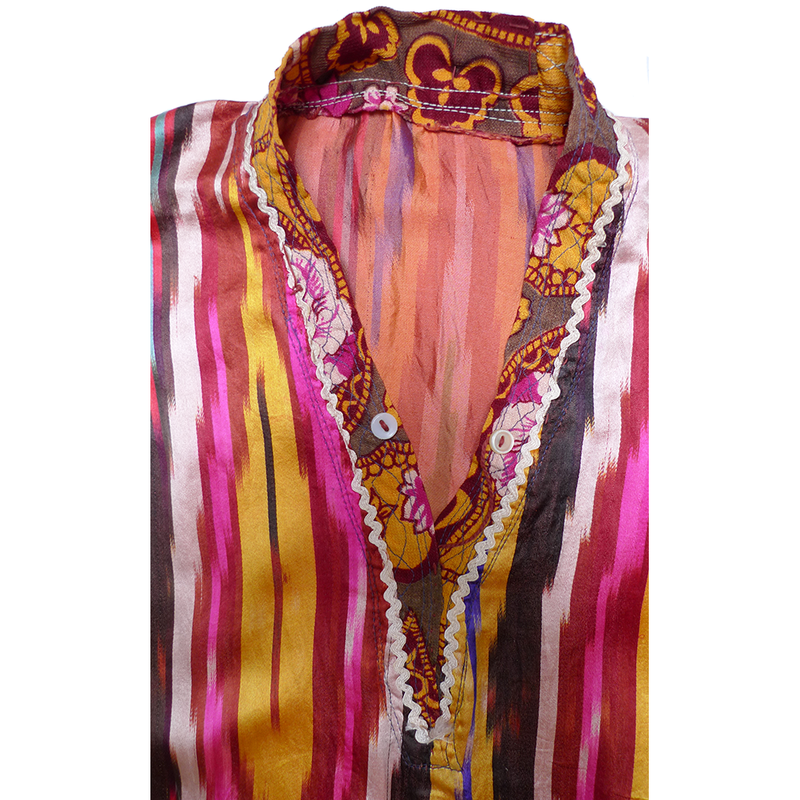 Later on dresses often featured short sleeves and fanciful collar treatments like this example. 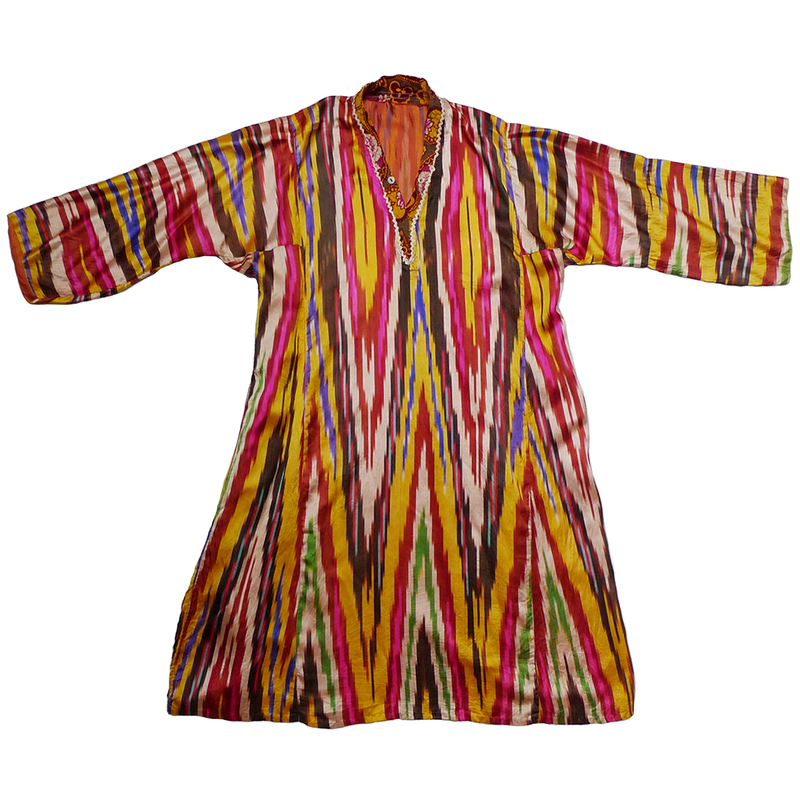 They were most often sewn from machine-made silk “atlas” ikat in a seemingly endless array of patterns.